Manilla Quality Furniture Upholstery repair . Whether you’re looking for something classic, modern, casual, or fashion forward? We’ve got you covered with more than a thousand fabrics in patterns, colors, and textures gallery. We are a local upholstery repair, We can replace the old worn out fabric you have with another fabric of your choice. You would be so happy didn't threw your old furniture! Our leather is versatile, enduring and beautiful. 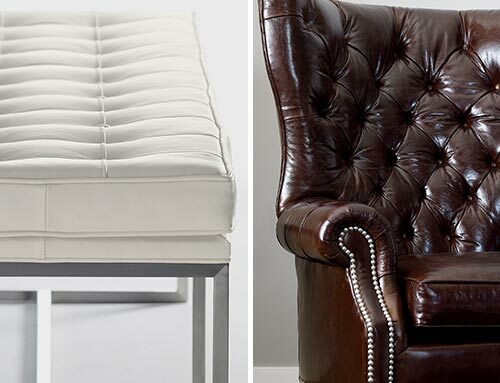 Leather adds classic and luxurious touch feeling at your home. We provide dozens of the premium quality furniture upholstery, top-grain and custom leathers in a variety of colors and fashions to create exactly the look that you have dreamed of. Manilla Custom Furniture & Upholstery is only one step away from your custom furniture design needs and imaginations. We will design, engineer, build and install your ideas and we guarantee that you will feel a complete satisfaction after receiving your new ideal furniture. 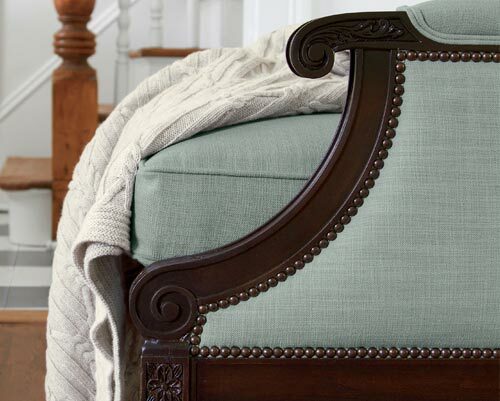 Exposed wood on your new sofa, Antique chair, loveseat, or upholstered bed can be made in your choice of dozens of hand-applied finishes, including sophisticated stains, stylish paint colors, and hand-distressed patinas for that special vintage look. Basically, we can do everything that is in your mind. 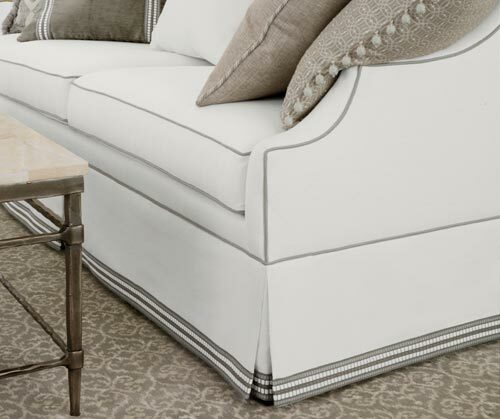 Nailhead trim gives your upholstery a distinct designer touch—and we offer a set of options that can truly make it special. Choose from several different finishes in a number of styles and patterns, including special ribbon and welting options, applied by hand in our North American workshops. When you are making your personal style, to make a difference and impact the whole look, all that matters is the little details. Myriad of trim choices include chic appliques, decorative tapes, fringes, and braids. 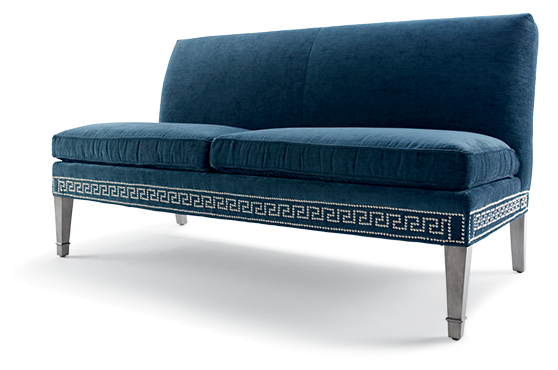 All these things are exactly that will give your upholstery sofa one-of-a-kind touch. This timeless upholstery technique creates a never-seen effect, which will take you and many others a breath away. On upholstered headboards, upholstery sofa, loveseats, ottomans, custom upholstery and chairs, there’s nothing like it for a sumptuous touch. 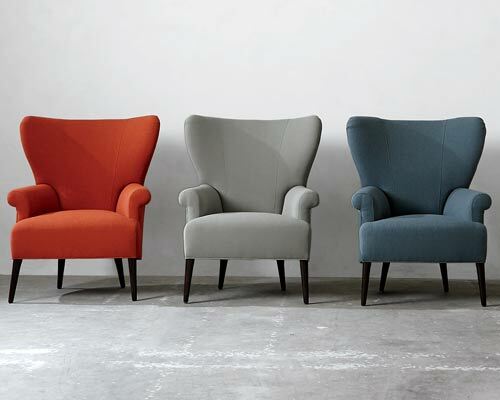 Our tufting includes biscuit, button, and diamond styles. Depending on the size, it’s all done by hand. Tony is doing everything to make our customers satisfied. Wow! Tony does a tremendous job. He was very responsive, very accommodating, and insanely affordable. He did pillow covers and my furniture slipcovers and they turned out wonderfully. He listened to exactly what I wanted and delivered. I am so pleased to know he's close by and will absolutely have him take care of all of my custom upholstery needs. Tony did an amazing job re-upholstering two vintage lounge chairs. he completely transformed them -- refinishing the wood, rebracing the seats, and finally creating new cushions. I highly recommend Manilla Upholstery. Tony is an artist. He did a beautiful job reupholstering/restoring my antique rocker and also restoring the cushion insert to my antique sofa. Tony is very creative, he knows exactly how to achieve the look and comfort you want and does everything thoroughly and expertly.